The BIRRD Hospital in Tirupati is doing Free services For Physically Challenged persons . The BIRRD Hospiatl is providing calipers and artificial limbs for Physically Challenged persons at free of cost and also doing Operation at free of cost . 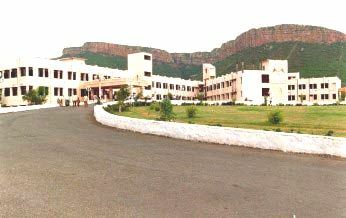 The BIRRD Hospital is maintained by the Tirumala Tirupati Devastanam (TTD) . The BIRRD hospital is a centrally air-conditioned hospital with the latest medical equipment built by TTD . The TTD is doing wonderful job for providing all the Operations , calipers and artificial limbs at free of cost to Physically Challenged persons . The BIRRD (TTD's) is giving new life with artificial limbs and calipers to Physically Challenged persons . Dear Blog readers Please leave a Comment on this Post about the BIRRD Hospital (Sri Balaji Institute of Surgery, Research and Rehabilitation for the Disabled) . If u have any other More information on BIRRD Hospital at Tirupati please leave your comment we will update your details . Pls let me know abt the distance from Tirupati railway station to Balaji Institute of Surgery, Research and Rehabilitation for the Disabled. plz sir after operation , will able to walk again without any support and clips. and how many days i have to stay there? Is all consultation, surgery & medicines free of cost. Is all consultation, surgery , medicines & investigations free of cost. Plz Tell me Bird Hospital Address.